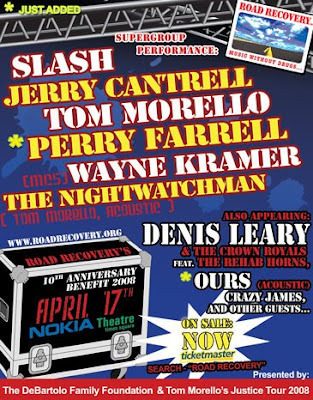 In addition to being privileged enough to work on the creation of great songs and audio productions on a daily basis, one of the only things that keeps me going in the music business is giving back a little something every chance i get..
You are cordially invited to Road Recovery's 10th Anniversary concert and celebration at the Nokia Theater on April 17th at 7:00 Pm. The star-studded cast includes Slash, Tom Morello, Jerry Cantrell, Wayne Kramer (MC5), Jimmy Gnecco of OURS, Perry Farrell, and Denis Leary. 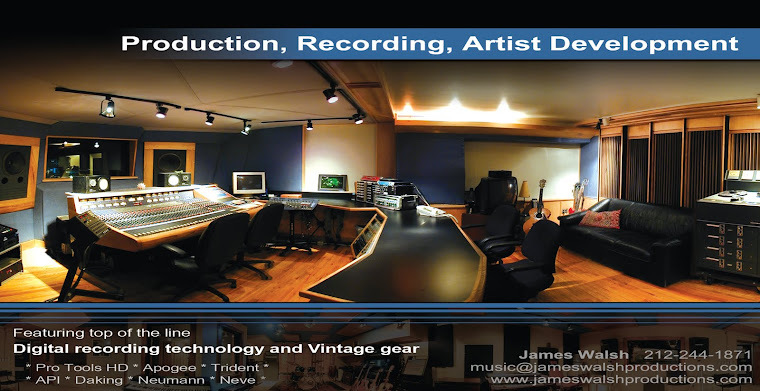 Also performing will be Road Recovery's own Crazy James. 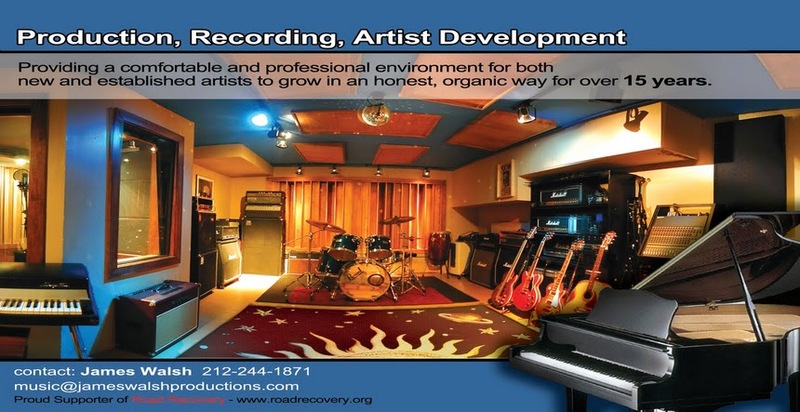 Visit www.roadrecovery.org for more information. For ticket sales, click right HERE.